This is one of my favourite colours and it always draws comments and admiration from everyone who sees it or works with it. I had the idea for this colour when I visited our local river in Somerset. It was a baking hot day and dragonflies, lily pads, frogs and kingfishers were in abundance. 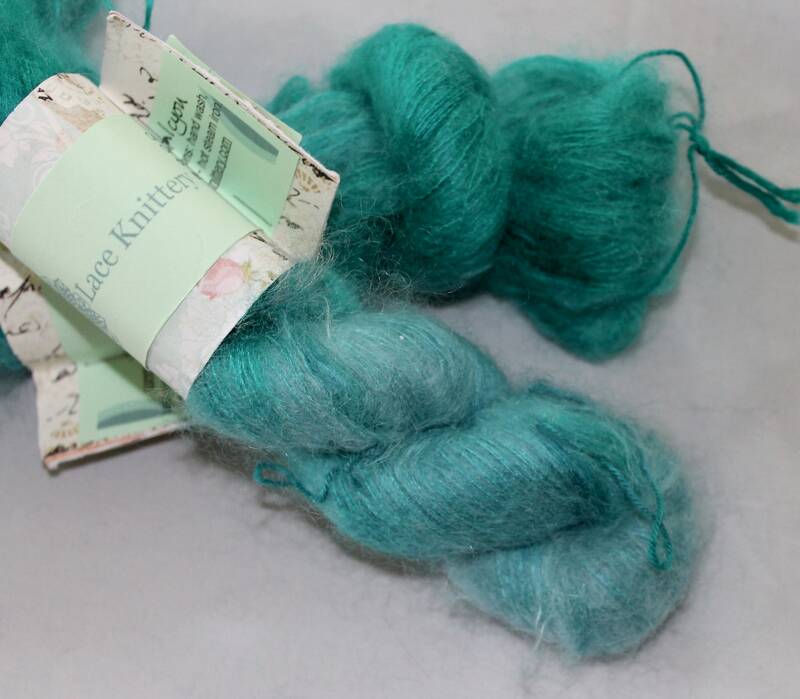 This yarn reflects the beautiful blues and greens in the kingfisher plumage and dragonflies. I named it halcyon as this is an old name for a kingfisher. 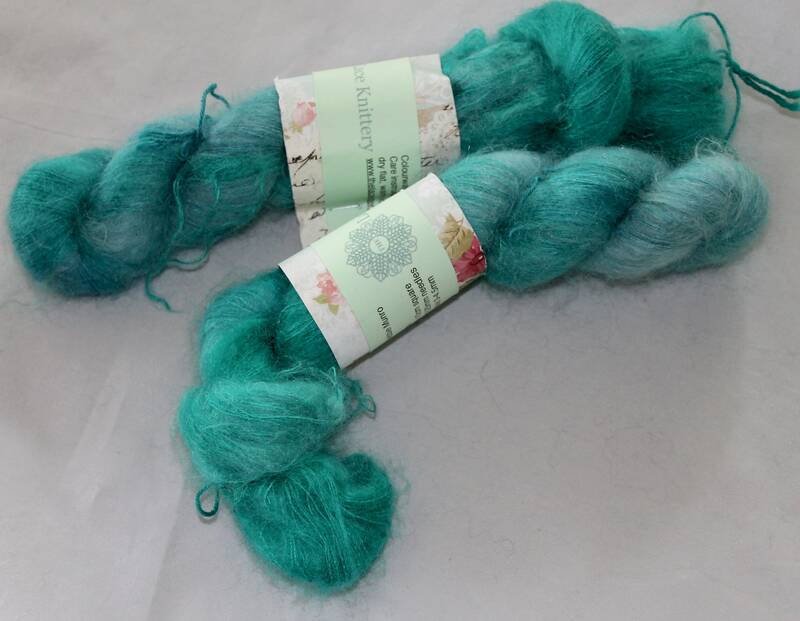 It is a lace weight yarn in a kid mohair and silk combination. 70% kid mohair and 30% silk. 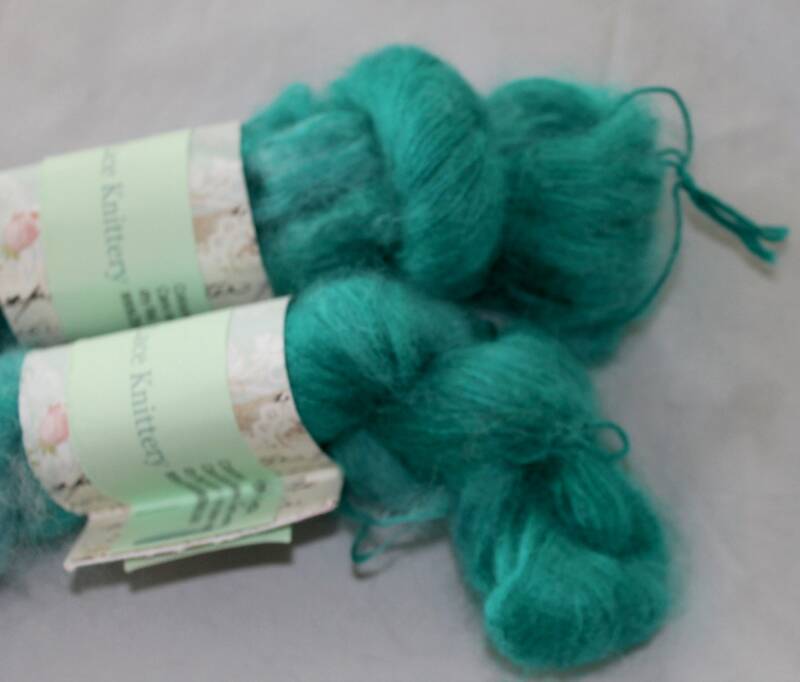 It is beautiful to work with and each skein has 420m in length which is enough to make a scarf and mitts. It can be pressed when finished with a hot steam iron. 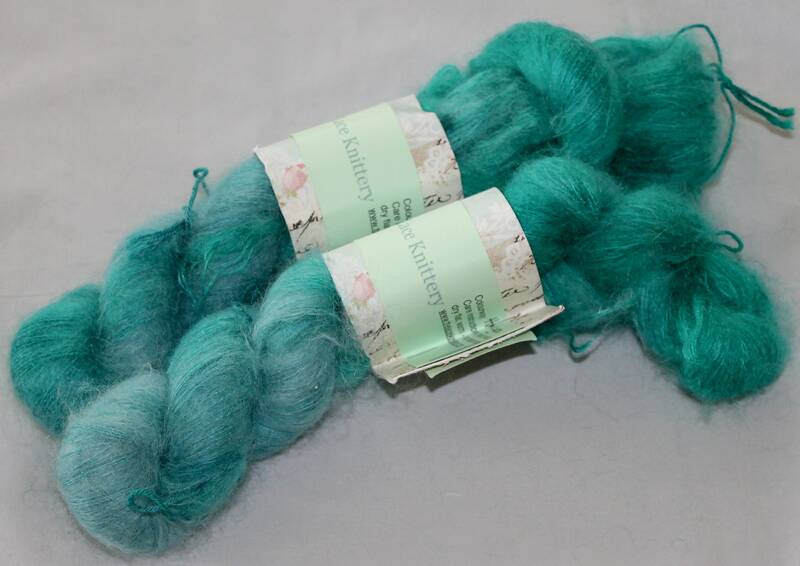 If you would like this colour in another yarn weight or type please send me a convo...I love custom orders.